The House of Bourbon is a royal family that originated in 1268 upon the marriage of a Bourbon heiress to a younger brother of King Louis IX of France. In the 16th century, Henry IV became the first Bourbon King of France and Navarre, and by the 18th century the Bourbon rule had expanded to Spain, Naples, Sicily and Parma. The Bourbon monarchy ruled until overthrown by the French Revolution in 1792. They regained control briefly in 1814 and again in 1815 until the senior line of the Bourbons was overthrown in 1830. From 1830 until 1848, the French were ruled by the House of Orléans (a cadet Bourbon branch who were descendants of the younger son of King Louis III). The last rulers from the House Of Bourbon were in Parma (ending 1859) and the Two Sicilies (ending 1861). In 2013 (Charlier et al. ), the remains of two French Kings were supposedly confirmed by DNA analyses. These analyses determined the Y-DNA STR profile of blood presumed to belong to King Louis XVI (from his execution during the French Revolution) and the Y-DNA STR profile of a mummified head attributed to King Henry IV. Based on a comparison of only a limited number of Y-STR markers obtained from very degraded DNA, this publication claimed that these analyses confirmed the remains belonged to the two French Kings and they both belonged in Y-haplogroup G. However, a more recent study (Larmuseau et al. 2014) questions this identification of the remains. The 2013 identification of King Henry IV’s mummified head was still questioned by many, as there are several historical arguments suggesting it belongs to a different person. In the 2014 study, DNA samples were collected from three living descendants of King Henry IV – Axel (Prince of Bourbon-Parma), Sixte-Henri (Prince of Bourbon-Parma) and João Henrique (Prince of Orléans-Braganza). The two Princes of Bourbon-Parma share a recent paternal ancestor, while the common paternal ancestor for all three descendants is King Louis XIII (back eleven generations). 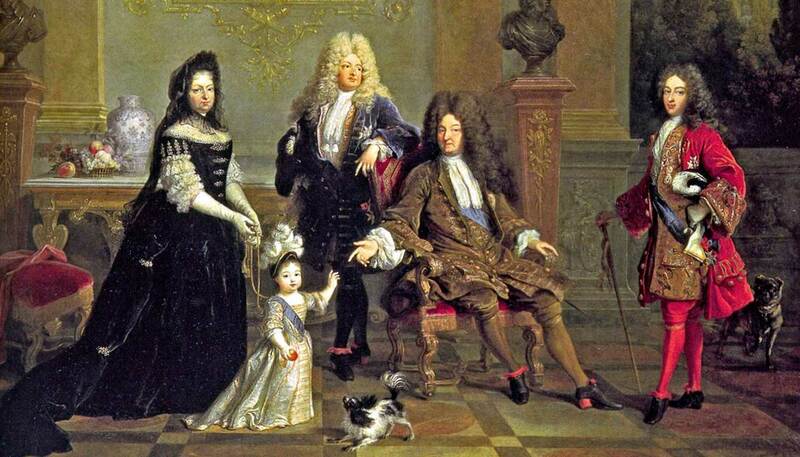 The common paternal ancestor of the three living descendants (Axel, Sixte-Henri and João) is King Louis XIII – the son of King Henry IV and paternal great-great-great-great-grandfather of King Louis XVI. Therefore Axel, Sixte-Henri and João should share the same Y-DNA profile as both King Henry IV (mummified head) and King Louis XVI (bloodied cloth from his execution). Larmuseau et al. (2014) were able to obtain high quality Y-DNA from the buccal swabs of these three living descendants of King Henry IV. 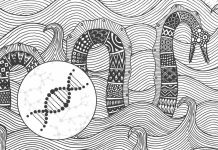 There are two types of Y-DNA markers that can be analyzed – very slow changing SNPs (single nucleotide polymorphisms) and fast changing STRs (short tandem repeats). An analysis of 38 Y-STR markers predicted that all three descendants belonged to Y-haplogroup R1b. This haplogroup was confirmed by Y-SNP analysis and further assigned to the sub-haplogroup R1b1b2a1a1b* – completely different to the Y-haplogroup G determined from the mummified head and blood samples. Mitochondrial DNA (mtDNA) analysis is another useful approach for ancestral studies. The maternal inheritance of mtDNA means that all individuals (male and female) who have descended from the same maternal ancestor will share the same mtDNA profile. Charlier et al. (2013) determined that the donor (presumed to be King Henry IV) of the mummified head belonged to mtDNA haplogroup U5b. King Henry IV shares a maternal ancestor (Anna of Habsburg) with Queen Marie-Antoinette, and hence they should both have the same (or very similar) mtDNA profile. However, in a previous study to identify the remains of Queen Marie-Antoinette’s son (Louis XVII), the Queen was shown to belong to mtDNA haplogroup H.
The 2014 study of high quality DNA from living descendants of King Henry IV determined that all three descendants belong to Y-subclade R1b1b2a1a1b*. This differs completely from the Y-haplogroup G determined from poor quality DNA from the mummified head and blood samples in the 2013 study. Furthermore, the mtDNA haplogroup of the mummified head is U5b and this again differs completely from the expected mtDNA haplogroup H (as determined during the analysis of Queen Marie-Antoinette). It is possible that the Y-DNA discrepancy occurred due to at least two non-paternity events occurring within the royal lineage of the House of Bourbon. It is also possible that the mtDNA discrepancy is explained by a non-maternity event occurring between King Henry IV and Queen Marie Antoinette. Obviously non-paternity events can occur and be kept secret; however non-maternity events (e.g. 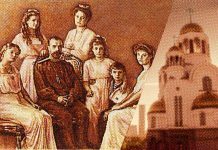 adoption) are very unlikely within royal families. A more likely explanation is that the mummified head and blood sample are in fact false relics that did not belong to King Henry IV or King Louis XVI. Larmuseau et al. (2014) have both discredited the identification of these relics and determined the true Y-DNA profile of the House of Bourbon. The DNA tests conducted in this study have defined the Y-DNA STR profile of the House of Bourbon. There are many famous individuals in this paternal lineage including King Henry IV of France and Navarre, several French King Louis’ (XIII – XVI from the original Bourbon reign), King Louis XVIII and King Charles X (when the House of Bourbon regained power from Napoléon in 1815) and King Louis-Philip (from the House of Orléans). There are also many individuals from other nobilities who share common paternal ancestors from the House of Bourbon, including the three people analyzed in this DNA analysis – Axel (Prince of Bourbon-Parma), Sixte-Henri (Prince of Bourbon-Parma) and João Henrique (Prince of Orléans-Braganza). If you have taken the Y-DNA STR marker (Paternal Ancestry) test you can determine if you have descended from the same paternal lineage as these royal figures. Previous articleDid Thomas Jefferson Father the Children of his Slave?